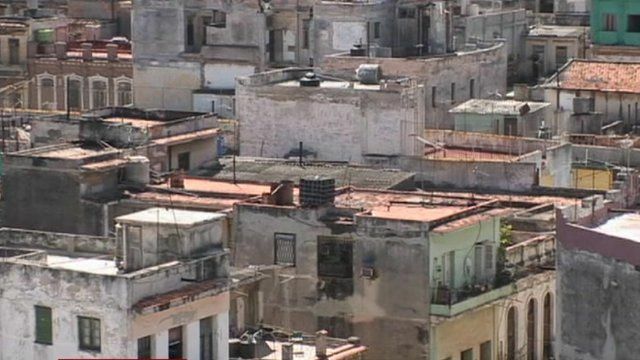 Cuba's crumbling housing crisis Jump to media player Cuba's government is taking steps to address the country's housing crisis, brought on by a struggling economy and years of storm damage and neglect. 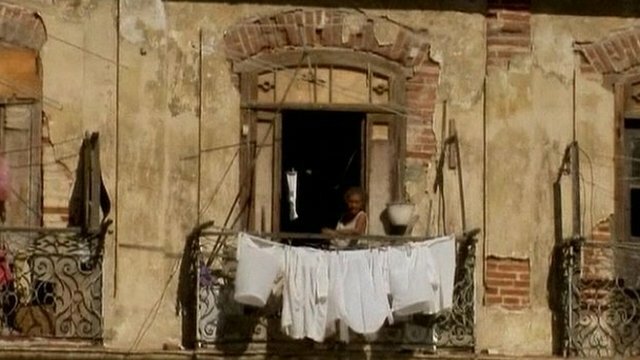 Cuba grants funds to repair houses Jump to media player The Cuban government announces a new subsidy to help citizens finance repairs to their homes. Cuba's government is taking steps to address the country's housing crisis, brought on by a struggling economy and years of storm damage and neglect. Authorities are trying to boost house building by cutting subsidies for construction materials and providing grants to those households in most need. But the scale of the problem is huge, with three buildings collapsing - partially or completely - every day in Havana.